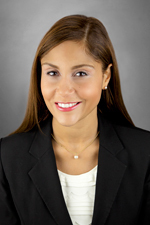 Raven Mackey focuses her practice in complex commercial litigation, consumer financial services, personal injury actions, and white collar investigations. She is experienced in all phases of the litigation process from case inception through settlement conferences and trials. Prior to joining Hinshaw, Raven clerked for The Honorable Sharon Johnson Coleman, U.S. District Court, Northern District of Illinois and The Honorable Arlander Keys, U.S. District Court, Northern District of Illinois. During law school, she spent a semester in Beijing, China as a legal extern with the U.S. Commercial Service. Raven also served two internships in the United States, one in public service and the other in the private sector. In addition to her other law school accomplishments, Raven was a student attorney with the Child Advocacy Law Clinic, served one year as President of the Black Law Students' Alliance, and was a Contributing Editor on the Michigan Journal of Race & Law. During her undergraduate studies, Raven spent time in China studying at the Capital University of Economics and Business, in Beijing.